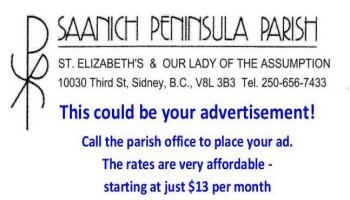 The parish pastoral council is an institution that brings together lay people and religious who, together with their pastors, work jointly to build the parish as a living Christian community. Thus parish council members care about parish life in other communities of the diocese, share in the concerns of the Church universal, and strive to bring the Gospel message to all people and places in their neighbourhood. Through relection, planning, animation and action, the parish pastoral council is the place where those ministries or services are brought forth that are needed for the growth of a living parish community. This responsibility of the parish pastoral council does not take away from the continued mission and responsibility of the parish as a whole. Each baptized parish member remains responsible in his or her own way for the mission of the parish. In this way, the parish pastoral council is a means for implementing better the responsibilities of the whole parish community.